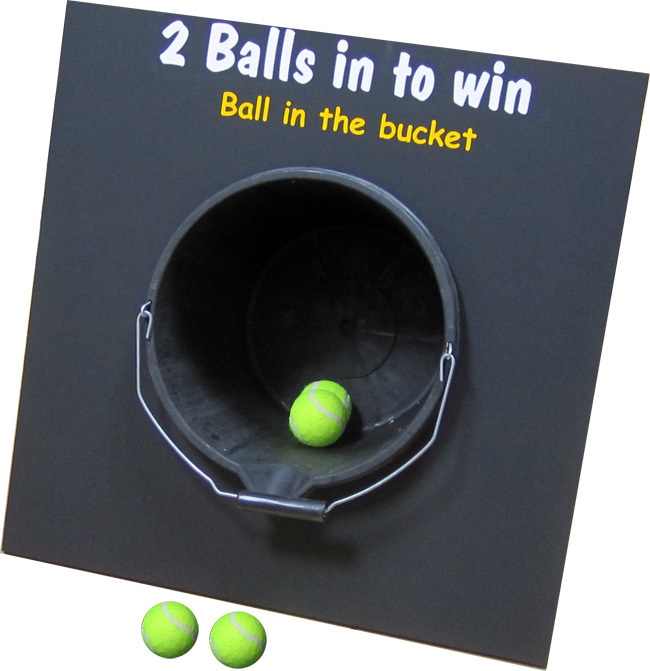 Throw the balls so they land and stay in the bucket. A game that's a lot harder than it sounds! 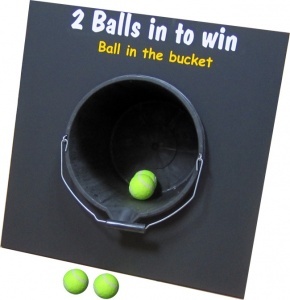 Includes 3 tennis balls and game frame (black bucket not included). The unpainted version does not have any wording and will be a plain MDF frame. PLEASE NOTE: Bucket is not included with this game!